"In my opinion, apple cider “tonics’ are awfully hard to tolerate – I just don’t like the taste. However, this practical book shares 100 delicious recipes made with wholesome ingredients that may provide positive health perks –including weight loss, increased energy, glowing skin, better digestion, and improved immune system function. I’m sold … I started with the Blue Cantaloupe Chamomile Smoothie and Watermelon Basil recipes and plan to work my way through the book. Such pretty photos too!" "I’ve done the two Tone It Up concoctions and whipped up an ACV mix with diluted Bai drinks. I never really thought too far outside of those (other than just putting it in water, but that’s a little too intense–and simultaneously boring–for me) until a few weeks ago. 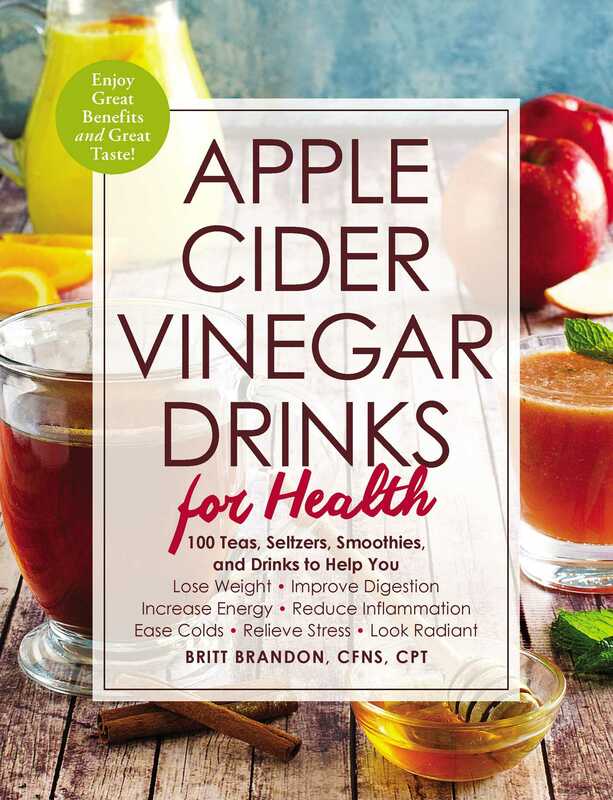 I received a free copy of Apple Cider Vinegar Drinks for Health by Britt Brandon, CFNS, CPT to check out, and let me tell you… It blew my mind. You won’t have to chug or hold your nose to drink the recipes in here…. Honestly, there are so many appetizing (never thought I’d call ACV appetizing) recipes in here, I can’t wait to just work my way through the whole book. Apparently, a lot of my favorite things pair well with apple cider vinegar."